This is actually old news from 2013 (although I didn’t see it until just a few minutes ago), so don’t mind me if you’ve already heard it. But it got me thinking – would you let your 12-year-old fly an airplane? I ask because I came across this picture Trace Adkins shared online a couple of years ago that shows an incredibly cool gift he got his then 12-year-old daughter Brianna … a pilot’s license. 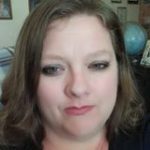 I had a hard enough time when my 16-year-old daughter started driving a car – with all four wheels firmly planted on the ground – so I couldn’t imagine letting her fly a plane when she was only 12. Definitely makes Trace the cool dad, though. 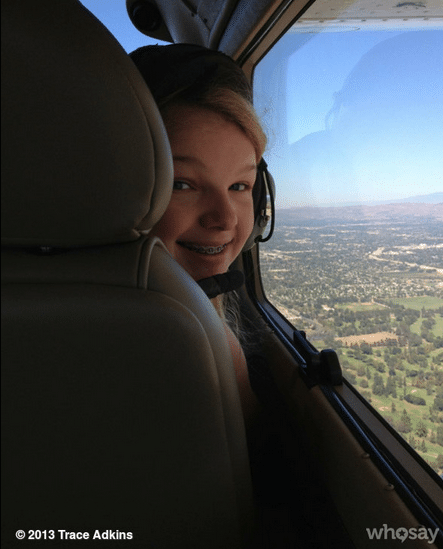 So, would you let your pre-teen fly a plane? Have your say in the comments below. And speaking of Trace, the singer is heading to the small screen. The Wrap is reporting that he will guest star on an upcoming episode of the NBC medical drama “The Night Shift,” which is set to air sometime in May. Adkins will play the leader of TC’s (Eoin Macken) MMA veteran therapy group. On the show, TC is ex-military, and his character this season has been dealing with his PTSD and trying to move past his issues to be in a relationship with Jordan (Jill Flint). Trace is the a spokesman for the Wounded Warrior Program and has performed on a handful of USO Tours, so this role is definitely right up his alley. Trace is currently on tour. Fans can buy tickets and find tour dates over on TraceAdkins.com. Update: Someone commented that Brianna is in the passenger seat and this was “an obvious joke.” Definitely wouldn’t be the first time I jumped to the wrong conclusion or took things at face value, so, yeah. If you weren't excited for Zoolander 2 before, you may be now because a country favorite has officially joined the cast. An obviouse joke. he took her for a ride. She’s in the passenger seat! Oh whew. As a nervous nellie mom, I feel much better now.